IRVINE, Calif., Feb. 26, 2013—Dean Erwin Chemerinsky has been named to a new endowed chair in First Amendment Law at UC Irvine School of Law. The chair was established by a $1.5 million gift last year from Raymond Pryke, owner and publisher of Valleywide Newspapers, based in the High Desert community of Hesperia, Calif.
As the holder of the Pryke Chair, Chemerinsky will help solidify the School of Law's teaching and research in First Amendment and media law, serving as a national opinion leader in free speech and media issues. He is a respected national authority in the field, and he will teach, write and speak on First Amendment issues of the day, including the role of a free press in preserving democratic society. Chemerinsky will retain his title and duties as Dean and Distinguished Professor of Law. He is one of the nation’s top experts in constitutional law, federal practice, civil rights and civil liberties, and appellate litigation. He has written seven books, the latest being The Conservative Assault on the Constitution (2010). His casebook, Constitutional Law, is one of the most widely read law textbooks in the country. 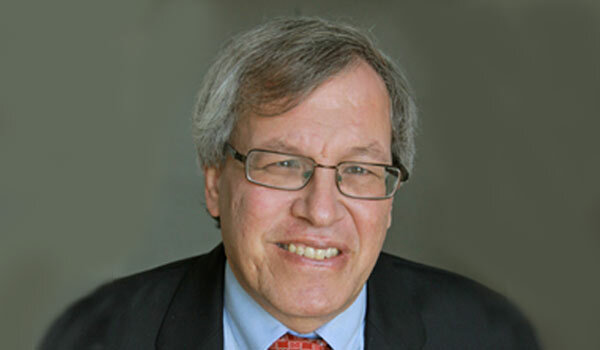 Chemerinsky has also written nearly 200 law review articles in journals such as the Harvard Law Review, Michigan Law Review, Northwestern Law Review, University of Pennsylvania Law Review, Stanford Law Review and Yale Law Journal. He frequently argues appellate cases, including matters before the U.S. Supreme Court and the U.S. Court of Appeal, and regularly serves as a commentator on legal issues for national and local media. He holds a J.D. from Harvard Law School and a B.S. from Northwestern University. Raymond Pryke's interest in publishing began in 1962 with the Apple Valley Observer, which he launched as a vehicle to promote sales for his real estate business. Today, Valleywide Newspapers publishes many newspapers serving Los Angeles and San Bernardino counties, including the Hesperia Resorter, Apple Valley News, County Legal Reporter, Adelanto Bulletin, the Antelope Valley Journal and the Victorville Post Express. UC Irvine School of Law seeks to create the ideal law school for the 21st century by doing the best job of training lawyers for the practice of law at the highest levels of the profession. Recruited from prestigious schools, the faculty ranked seventh in the country in scholarly impact in a recent study. The student body has median grades and LSAT scores comparable to those of student bodies at top 20 law schools. The school's innovative curriculum stresses hands-on learning, interdisciplinary study and public service.